Our project for Abingdon School is progressing well with the first phase completing in the next few weeks and the second phase due for completion at the end of August. The client appointed Pinnacle to refurbish several areas at the school, including the newly built 3 floor Beech House which comprises of a Sixth Form Centre, library, art department, study area, and several conference and meeting rooms. The brief for the Sixth Form Centre was to create a modern, cutting-edge facility to reflect the exquisite architecture of Beech House. The client was keen to ensure that the design of the centre gave students flexibility and independence, making the transition from School to University smoother. 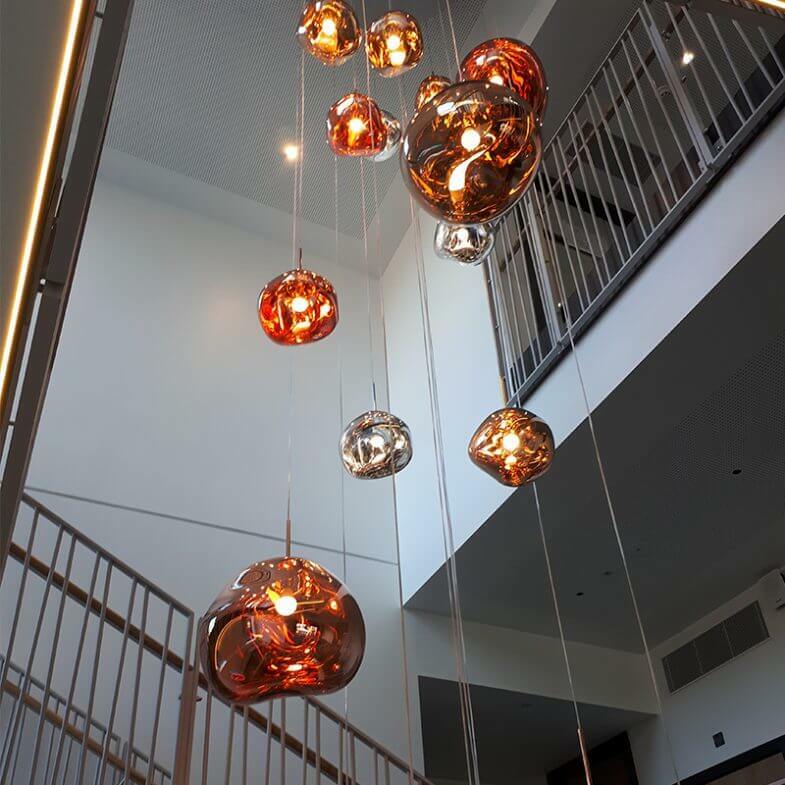 Our Design Team wanted to highlight the height of the stairwell which they accomplished by hanging pendant lights by Tom Dixon from the ceiling. The lights mimic melting glass and can be seen in the photo below. The lighting works in harmony with the abstract and angled design of the banister to create a contemporary feel. Keep checking our blog section for more updates about this project!